Effectors are an interactive system’s means of communicating and acting in the world. They vary from video displays to LED lights and motors. Effectors are sometimes called “actuators,” since they cause actions. The media versions of these must typically be controlled by a full computer. So if you are using video or audio in your projects, you’ll be looking for ways to hide the computer and embed the displays or speakers into the device or environment. The simpler effectors like LEDs and servo motors must be connected to a microcontroller, where the reverse of the sensor process is handled. In other words, the microcontroller typically converts a digital numeric value into whatever format the effector can handle. For example, to control the position of a servo motor (which can be directed to turn to a specific angle of rotation), the number of degrees might be sent to the microcontroller, which then tells the servo motor to position to that angle (geek note: this is done by using something called PWM or pulse width modulation). So to position the motor all the way to the left, a 0 value is sent (as in zero degrees). To position it all the way to the right, a value of 180 is sent (as in 180 degrees). It’s the job of the software to trigger the activation of the effectors by sending the appropriate content/media or numeric value to the effector. 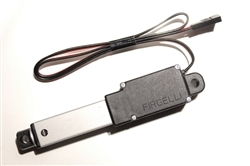 Servos are motors that position to a specific angle. Typically, they rotate within a range of 180 degrees. 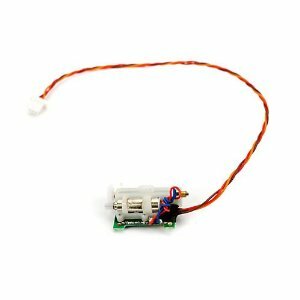 “Continous” style servo that can turn continously instead of being limited to 180 degree range. It does not go to a specific position though – these are typically used for locomotion. 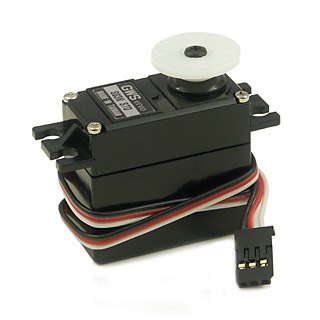 360 degree servo – this servo actually rotates more than 360 degrees. In the ServoControl widget, use a range of 20-126 for a full 360 rotation. Use higher numbers for more than 360. Relays can be controlled by the digital outputs of microcontrollers, and allow high powered loads such as AC Lights to be turned on and off. There are thousands of different relays, an you need to get the right type to work with the microcontroller you are using, as well as the load you are connecting to the relay that is being turned on and off. 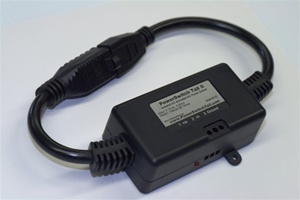 The most common need is to switch a standard 125V AC device on and off, such as a lamp. IMPORTANT SAFTEY NOTE: Working with A/C electricity can be dangerous – it can kill you! You must be very careful when working with it. Be sure you properly wire everything so that you or others cannot put their hands or other body parts so they will touch the bare electrical wires – i.e. make sure you cover all A/C power connections with electrical tape or heat-shrink tubing. Also be sure you do not short the A/C wires together. 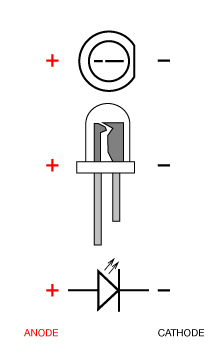 Contact Rating: 5 A at 250 VAC / 30 VDC – This specifies how amount and type of power that the relay can switch on and off. If you have a small load, such as a 150W light bulb you could get a smaller relay rated at 3A at 250 volts. 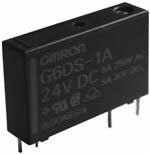 Picture shows a 24V relay, but you should use a 5V version of this relay.